For our third anniversary, B took me to a place I’d been pining for for months: Cheever’s Cafe in the Uptown 23rd district. 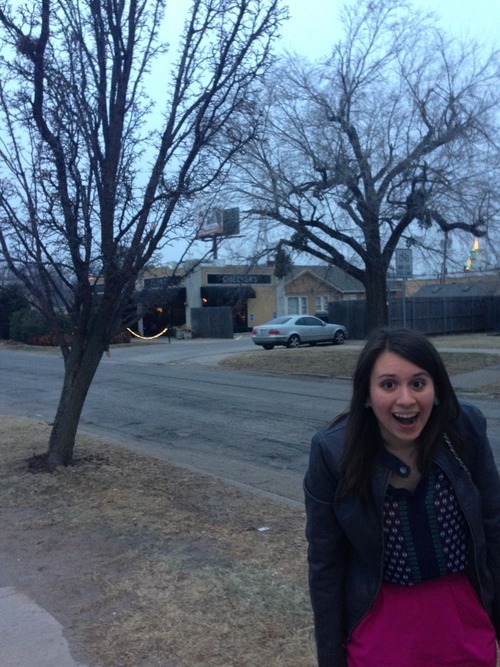 That’s my excited face. See Cheever’s in the background? 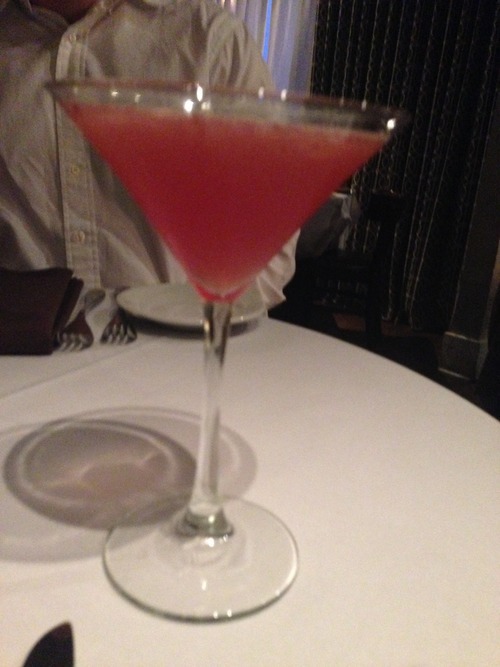 …we got cocktails instead! For the life of me, I can’t remember what this one was called, but it had so many different fruit tastes. It also wasn’t sickly sweet like most “fruity” drinks are. It was on point. Now, on to the good stuff: food! When we arrived to the restaurant, it took the staff a hot minute to get to our table and bring us water to drink and such. 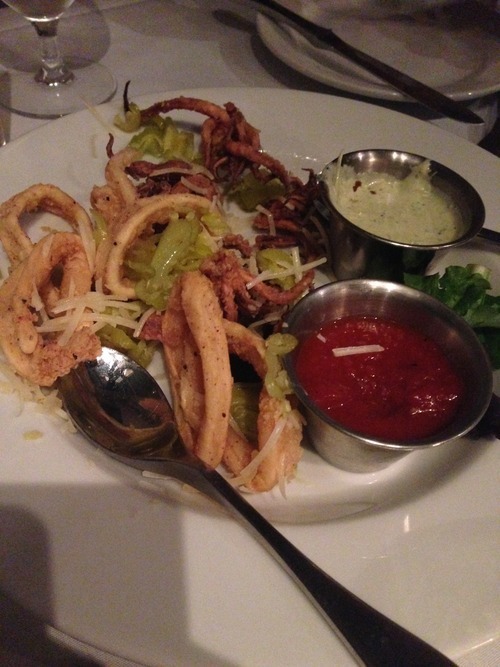 To make up for their delay, they kindly comped us this delicious plate of calamari. I loved the addition of the peppers! This was my meal: pork tenderloin with an onion jam, butternut squash risotto, and a kale salad. It was all very rich and delicious. 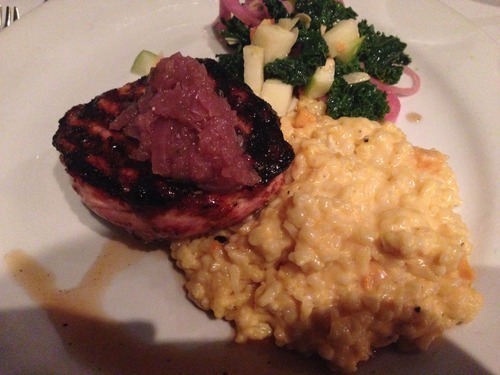 The risotto was some of the best I’ve ever had; it was more like mac and cheese than risotto and I ate it up. The kale salad had a great dressing as well, and the pork was flavorful and tender. 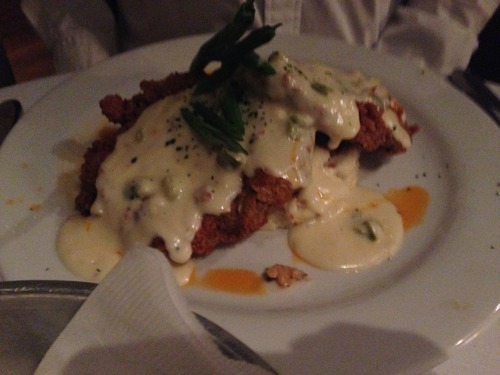 …the CHICKEN FRIED STEAK. Good lord, Cheever’s. This should be illegal, it was so rich. Yes, readers, that is TWO FRIED STEAKS leaning on one another to make a little mountain over the piles of mashed potatoes. B could hardly finish it. It was FAB. Obviously, I am drinking the Cheever’s Cafe kool-aid. I really want to go back for brunch like ASAP. Well, as soon as I save some money up…because good dining like this is not easy on the wallet. Worth it, though!